It’s taken almost five years, but it appears that No Man’s Sky might finally become the game people were expecting it to be at launch. This is because British developer Hello Games recently announced another major patch for its 2016 game. This one will focus on the multiplayer aspects of the game, and will be launching this summer according to the US company. 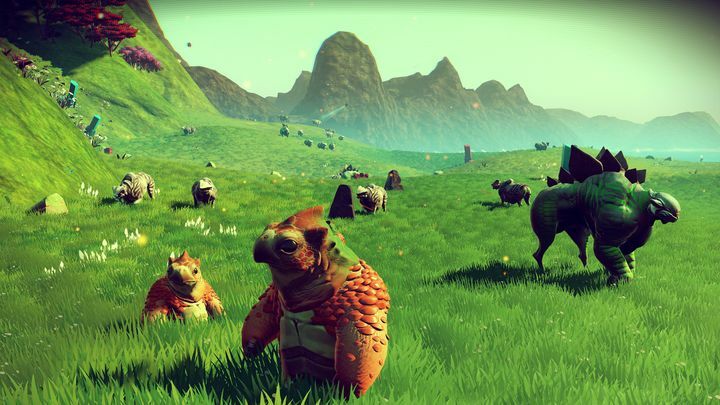 Multiplayer was a bit lacking when the game launched back in August 2016, but has improved over the years as Hello Games put out new patches for the game. But this new update (which is titled “Beyond”) could be taking this aspect of the game much further, with Hello Games promising “to bring players together like never before” and “a brand-new social and multiplayer experience”. The very brief teaser for this update doesn’t reveal anything though, although fortunately Hello has promised No Man’s Sky will remain free of microtransactions (that’s a feature these days apparently) and that it will still be free to anyone who owns a copy of No Man’s Sky. There’s more to the Beyond update than refined multiplayer though, as the developer has said this will be a “colossal” update. But as I highlighted earlier, it has taken Hello Games almost five years to deliver the No Man’s Sky game which was promised at launch. Actually, the game had one of the worst launches ever, was subject to a false advertising claim and even got in trouble due to its supposedly unauthorised use of a mathematical formula. But still, Hello Games should be commended for continuing to support No Man’s Sky for years, releasing several hefty patches like last year’s Next update and 2017’s Foundation update, making the game a much better purchase now than it was at launch. And the upcoming Beyond update could finally turn No Man’s Sky into the all-encompassing space game people expected at release. It’s been a long road though, and it’s hard to imagine that anyone who paid full price for the game back in 2016 will be willing to dive into Hello Games space epic now, even with the Beyond update now in the pipeline. It would be a great thing nonetheless, if this next update for No Man’s Sky made the game a better experience, giving all those still playing the game even more fun in space this summer.